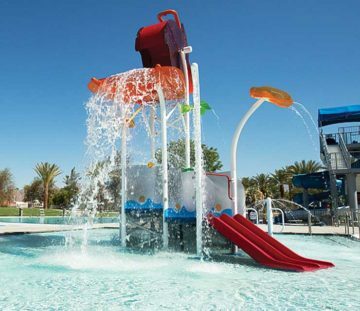 Palm Desert’s 8-acre aquat­ic park fea­tures two pools, shade struc­tures, and a main build­ing with mul­ti­ple chang­ing rooms, offices and a con­ces­sion stand. 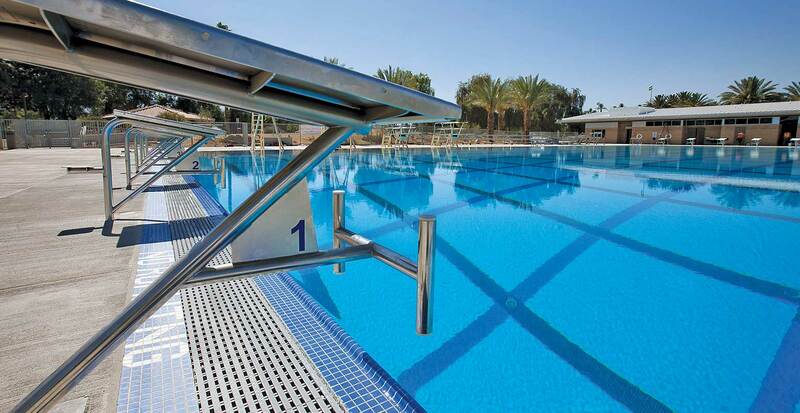 A light­ed, 50-meter x 25-yard com­pe­ti­tion pool is shared with the Col­lege of the Desert and pro­vides a venue for region­al meets. 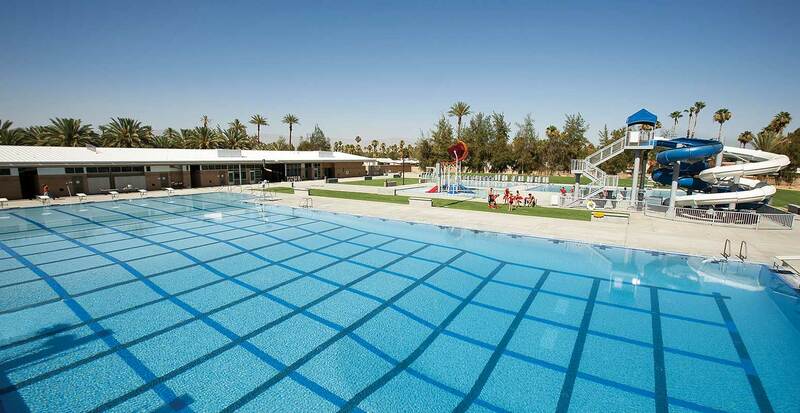 For fam­i­ly fun, an 8000-square-foot recre­ation pool fea­tures water­slides, play equip­ment and a wade-in entry. Arch Pac con­served the exist­ing date grove on the site by incor­po­rat­ing it into the park­ing lot design.